Many people who consider themselves healthy are walking around with a disease — fatty liver disease. First described in 1980, fatty liver disease, sometimes referred to as FLD or NAFLD (non-alcoholic fatty liver disease), is the condition of fat infiltrating the liver tissue. Non-alcoholic steatohepatitis refers to a fatty liver that has become inflamed, with injury to the liver cells. According to the American Liver Foundation, fatty liver disease affects up to 25 percent of Americans. It is not known exactly what causes fatty liver disease. Some hypotheses surmise that the disease might come from a combination of oxidative stress on the cells and poor lipid metabolism. Insulin resistance, a component of Type 2 diabetes, may accelerate the process. Doctors usually see fatty livers in obese patients and almost never in thin patients who follow healthy diets. Fatty liver disease is a marker of further medical risk, such as diabetes, as well as a potential trigger for cancer and liver failure (from cirrhosis, which is scarring of the liver) in the more severe stages. Test your liver enzymes. If you are overweight or a diabetic, ask your doctor to test your liver. If you have high levels of liver enzymes in your blood, you may need to go on a special diet, get an ultrasound, see the doctor more frequently, and/or stop certain medications. Safeguard your health. You should not drink alcohol or use unnecessary prescription medications (or any recreational drugs) until the problem is resolved. If your liver enzymes are even slightly above normal, make sure that your doctor identifies the problem and tracks your numbers. Consider benefits of natural supplements. 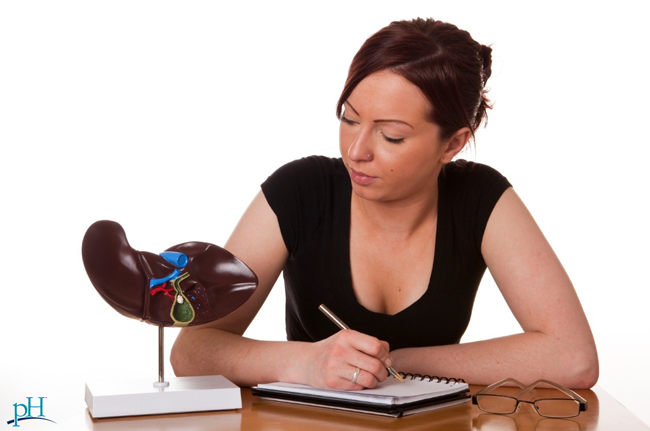 Several natural supplements have been used for fatty liver disease with success. Chlorella was used at a 1,200 mg dose and successfully decreased abnormal enzyme levels in one study. Milk thistle was found to improve fatty liver disease in another study. Vitamin E is the most likely supplement to be prescribed, as several studies have confirmed its benefits. Always inform your doctor of your choices when you take supplements, and keep note of any side effects.